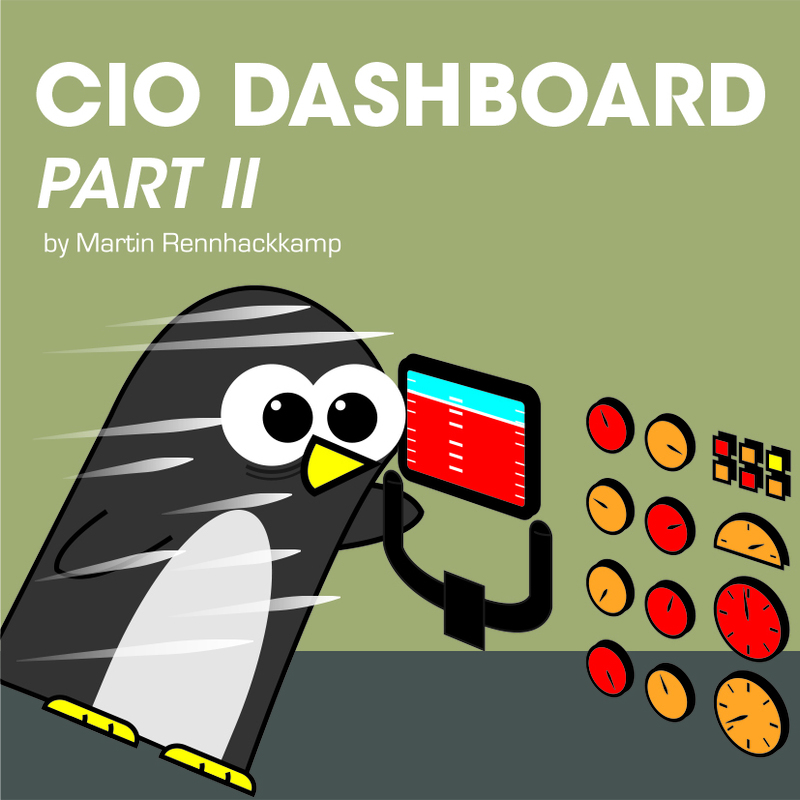 In a previous post I discussed three areas that the CIO’s dashboard should address, namely proliferation and penetration, users and usage and some of the more important data quality measures. In this post I discuss more of the aspects that the CIO should be tracking, from the point of view of being the executive ultimately responsible for the implementation of the organisation’s BI strategy. These measures address the timeliness of data, storage and memory utilisation, and the BI CC’s adherence to agile delivery schedules. One of the crucial KPIs a CIO should track is the timeliness of information – that is, how long it takes from the occurrence of an event until the information representing that event appears to a decision-maker responsible for that event, say on a dashboard or in an online report. In the case of “run of the mill” events, this may not be all that important, apart from tracking progress against schedule, or sales against targets. However, in the case of an exception, it becomes very important for someone in charge to be notified as quickly as possible. A good example is a large order that cannot be fulfilled. If a manager with the necessary powers is notified the moment that stock on hand is less than quantity ordered, he can take the required action to draw stock from other centres, get production increased, or at least manage the customer’s expectations timeously. Disk and memory capacity may seem like measures that are way too technical for a CIO to track. You may think that they should typically be tracked by a CTO, and rightly so, he should track them as well. However, with data and information volumes increasing at astronomical rates, the CIO should also be tracking the volumes of data and information managed on disk and processed in memory, in relation to the available capacity. While the CTO may be able to track and react to standard growth patterns, the CIO should be close enough to the business to be aware of, and track the impacts of, exceptional events that cause out of the norm data growth and information processing. A simple question on a social media channel like “what do customers think of product XYZ” may cause a flood of big data to be analysed, especially if XYZ may be the iPhone5, where the question will cause a flood of complaints about the product’s unavailability. A CIO who communicates closely with his counterpart in the marketing division (often one of his biggest and most demanding customers) will be prepared for the spike in activity, and will want to track its impact on capacity. Especially if real-time in-memory analytics is being used, tracking the memory utilisation becomes crucially important. If the BI Competency Centre employs agile methods for delivery to the business, I would want to see measures on how they are tracking as well. Measures like the number of sprints completed (against target), sprints being worked on (against schedule) and sprints in the pipeline, together with an average elapsed sprint duration and a resource man hour per sprint burn-rate would all be insightful KPIs. For conventional longer-running data warehousing projects, I wouldn’t want to waste scarce real-time dashboard real-estate on project progress statistics, but with an agile delivery capability and a hungry business expecting functionality frequently, I would want to track that at least on a daily basis. If delivery falls behind on an already tight schedule, as CIO I need to be aware that the BI CC manager already took intervening action, or at least managed the relationship with the business. 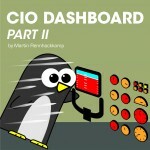 As I mentioned in the previous post, the CIO’s dashboard should also not be over-cluttered with screens and screens of too many mundane details. A dashboard should rather highlight exceptions than merely reporting routine detail data.